When MTV launched the world’s first 24-hour music video channel in 1981 with a cheeky kick-off broadcast of “Video Killed the Radiostar”, there was no way to know just how prescient it was. Since 1981, the art of music video has steadily morphed and grown and now, thanks to the Internet, it has become one of the most popular and powerful mediums in art. Music video spent much of its first decade playing it safe. Videos filled with static shots of lip-syncing bands on soundstages, created for the sole purpose of showing off the lead singer and pushing units, could only hold a discerning audience’s attention for so long. In what could be considered a minor renascence, the ‘90s brought a weirder, wilder take on the music video. Recording artists like Bjork, Radiohead, and Beck were obviously pushing the boundaries of music already, but it was arguably the work of video directors like Spike Jonze and his contemporaries who solidified those artists’ place in the pop culture pantheon. Video directors like Chris Cunningham, Floria Sigismondi, and Michel Gondry helped to usher in a unique new style of bite-sized filmmaking, and the music video space has been a breeding ground for innovation in film ever since. The music video is a force of nature. “Despacito” is the most watched YouTube video of all time (4.7 billion hits, and counting), recording artists are increasingly releasing their music exclusively as visual albums (a sort of music video bomb that delivers 10 or 12 music videos at once), and pop-stars like Alessia Cara and Justin Bieber were able to launch massive careers by posting homemade videos from their bedrooms. While that kind of viral video has become ubiquitous on the Internet, more exciting is the door that’s been opened to the filmmaking community. Forward-thinking filmmakers have leveraged the ability to instantly distribute their content online and have taken advantage of easier access to professional equipment, creating a whole new world of high-quality art. Filmmakers of all stripes are using music videos as their creative sandbox and the medium has become a proven launch pad for directors looking to create short or feature films. Numerous past Prism Prize award recipients have gone on to have film work shown at internationally-renowned film festivals, including Emily Kai Bock’s A Funeral For Lightning, Kevan Funk’s Hello Destroyer, Director X’s Across The Line, Chad Van Gaalen’s Tarboz, and so many more. At this year’s Toronto International Film Festival, Prism friend Edmonson debuted her short Exit, and Fantavious Fritz screened his short Good Boy, hot on the heels of his 2018 Prism Prize Grand Prize win for Charlotte Day Wilson’s “Work”. MVP Project from Prism Prize on Vimeo. 2019 is set to be a banner year for music video in Canada, made all the more promising with the recent announcement of the MVP Project. A joint initiative between the Prism Prize, RBCxMusic and the Academy of Canadian Cinema & Television, the MVP Project carries a mandate to support emerging filmmakers and recording artists through music video production grants valued between $5,000 and $15,000. 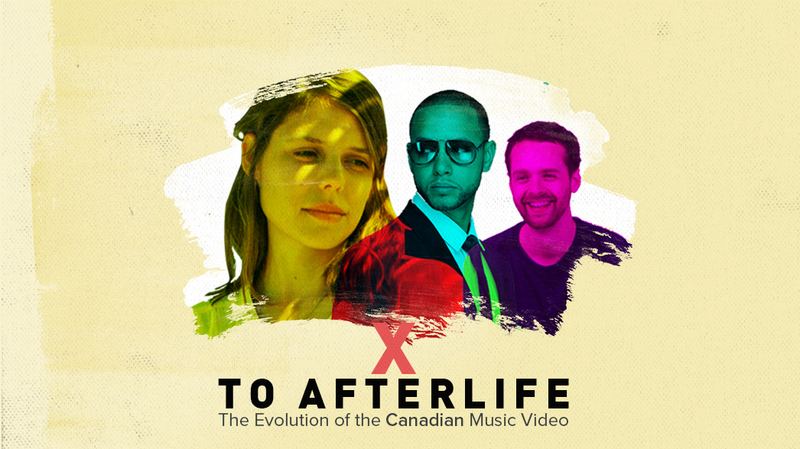 The new initiative will help solidify the intersection of the Canadian film and music communities, and aims to tap into the undeniable power and popularity of the music video on a whole. There has been no better time for these young filmmakers and music video creators in our country, and so, timing is right to officially welcome the Prism Prize into the fold at the Academy of Canadian Cinema & Television. Be sure to check out the hundreds of amazing Canadian music videos collected at PrismPrize.com and watch out for the 2019 Top 20 just after the new year. Canada’s next wave of exceptional filmmakers is already out there, working away in that sandbox, creating some of the most unique and exciting content our country has to offer. Written for the Academy by Neil Haverty.